Consider yourself lucky if you walk into a new job as a director and find adequate equipment in good shape. You were chosen to direct the music education program in this school. Most superintendents and school boards do not know the importance of balanced instrumentation. It is up to you to draw up a clear, simple picture of the organization you want to build for your students, and the approximate cost. School boards are composed of people who want programs built and organized on a sound foundation. 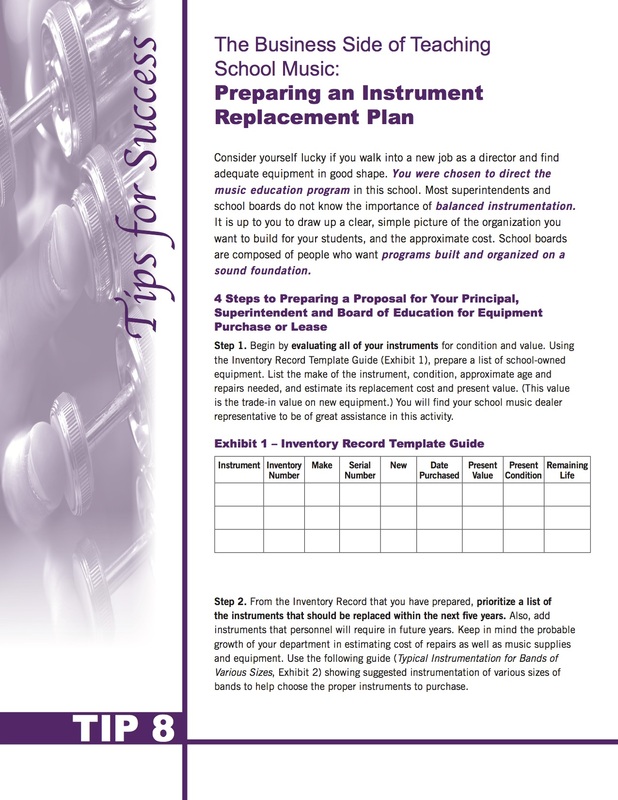 Learn about creating an instrument replacement plan.